It’s been an exhilarating two months since we released our first cloud offering, Yeastar Cloud PBX. Thanks to all solid feedback, we are excited to announce that the much-anticipated new firmware update is available now. This update makes some significant strides toward easier management and optimal user experience with a host of new features, bug fixes and performance enhancement. Here is an overview of the changes brought by Yeastar Cloud PBX — PBX Instance Firmware 81.4.0.8. Remote Management: Yeastar Remote Management is a robust centralized platform for easy management and configuration of your customer-premises regardless of your location. More about Remote Management, check out the Datasheet and User Manual here. API Interface: The added support for 3rd party applications integrating with the PBX via API greatly extend the functionality of a PBX. You can now develop your own customization to craft and ideal solution. More about API, check out the User Manual here. 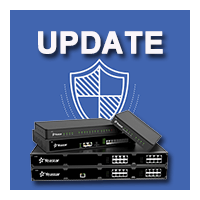 Easier Firmware Upgrade: Every time a new firmware is release, you can upgrade directly from the PBX interface. Added the following settings on the SIP trunk page. Increased the range of Extension Users to 0~59999. Supported Yealink phones that have MAC addresses that start with 805ec0. The PBX can store event logs and operation logs for a maximum of 15 days. Compatible with Ali Cloud SMTP. Extension users can dial feature code to switch the inbound route destination to “Other Time” destination. Supported displaying DID numbers in CDR. And more. View the complete list of optimization here. The interconnection between two Yeastar Cloud PBXs would fail if TCP protocol was used. 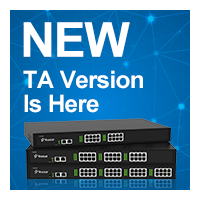 Fixed the compatibility issue with Yeastar TA gateway. Fixed the issue that recording custom prompt on the PBX web interface would fail. Fixed the voicemail prompt issue: the PBX didn’t play the customized prompt. Fixed the issue that the call of a TCP/TLS extension could not be disconnected properly. Fixed the issue that if two Yeastar Cloud PBX registered a VoIP trunk from the same provider, the PBX could not identify inbound calls correctly. Fixed the issue that video call could not work. Fixed the issue that the extension users failed to download CDR files on Web. And more. View the complete list of bug fixes here. Added support for upgrading firmware in PBX. Added support for exporting PBX information. Optimized the email template of Alarms. Optimized the email template of PBX Information. 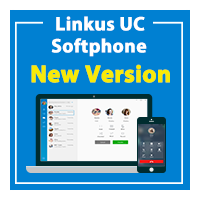 Please check for new update in your Cloud PBX web interface. For more details, please refer to the Release Note (for PBX instance) (for YMP).